Home / Emotional Issues / Don’t Get Stressed Out Trying to De-Stress! 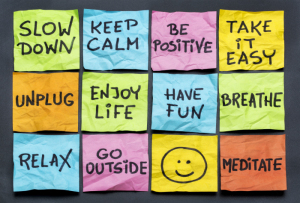 Don’t Get Stressed Out Trying to De-Stress! Yoga and meditation will never help you de-stress until you understand this first. 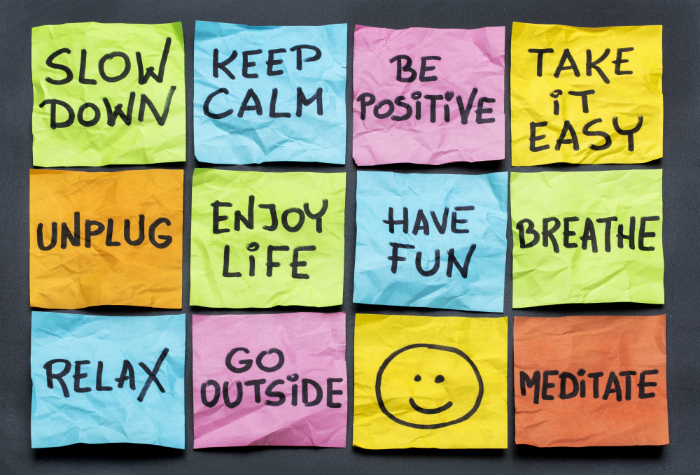 Are you tired and fed up of being told that you need to de-stress your life? Are you confused over what you “should” do (versus what you “want” to do) because there are so many methods and “musts” about how de-stressing should be handled? Try meditation. Now do yoga. Make time for that time management courses. And don’t forget tai-chi, regular massage, and regular running or swimming. Feeling stressed? Just hold your nose and let it go slowly to breath. Then, take a long walk while taping on your acupuncture points, uttering mantras … just don’t trip and fall while also doing your positive visualizations? I could go on and on but you I’ll bet you get the picture. As a life coach, I have met plenty of people who have meditated for years but they’re not happy. I know people who have practice yoga daily who are highly neurotic. I’ve met people who teach hypnotherapy and neuro-linguistic programming who are down-right miserable. So, while I concede that many of these methods can help and can offer incredible results (I’ve personally tried almost all of them), we’re clearly missing the mark somewhere if we’re all still so stressed out. The problem, as I see it, is that if you’re already stressed out and feeling overwhelmed, the last thing you want to do is to add more to your to-do list (even if that task is supposed to help you relax). Most people feel guilty about not following through on doing the very things they’ve been told will make their life “better.” So, now you have new things “to do” but you also now have added guilt because you haven’t gotten around to actually doing any of it. And so they cycle goes on and on until you are so confused by what others claim are your de-stress “shoulds” that you are entirely unsure about what will actually help! I experienced the same frustration, until I finally came to an important realization: most of the advice out there comes from one person for whom that one method worked. Because that method gave that person insight into it for themselves, they want to share that method with the world, hoping others will experience the same positive difference. What worked for me will surely work for you. But, we are all different. We all have our own wisdom, our own journey, our own learning to discover, and what I have learned is that one size does not fit all in any department (let alone de-stressing). Finding what uniquely works for you is key. Over the last year, I have come to an understanding that we create our reality from moment to moment with our thoughts and that is how we create the permanent positive change that we’ve been looking for. If you could see that your stress doesn’t come from your to do list, or tasks you don’t like doing, or your boss, or that client you really don’t get on with, or early mornings, or the fight you had with your partner last night, or the fact that you are single, or your financial situation … you could wake up one each day and finally see that there is actually nothing outside of you that can cause you stress and that all of that stress and worry has all been a misunderstanding. Sounds hard to believe but, its true. Nothing — not even a tool or a technique can give you a feeling — feelings are all generated from your thinking in that given moment and nothing else. But this is not about changing your thoughts or beliefs, it’s about seeing that no matter what the situation — it’s not what you’re doing that will give you the experience, but rather your thinking in that given moment that will. All your feelings do each day is alert you to what kind of thinking you have in that moment, nothing more. So if you are feeling stressed, just know that you have some stressed-out thinking. You also have a self-correcting system that will calm you down after a while, too. But it’s when we think that it’s the boss, or the early mornings, or the amount of work we have to do that is creating our stress, then we get lost. That’s when we fall into the misunderstanding of “stress,” which then creates the desire to do something about it. So if you are wondering, well hang on — why is it then when I go for a walk or meditate that I feel better? That is your self-correcting system working perfectly for you (not the actual activity). I used to think the activity was the reason for making me feel better until I discovered that I have a self-correcting system and that insight created the permanent change in my life, not a technique or tool. So what should you do? NOTHING! Only if it occurs to you that meditation or taking a walk is right for you, then go for it.